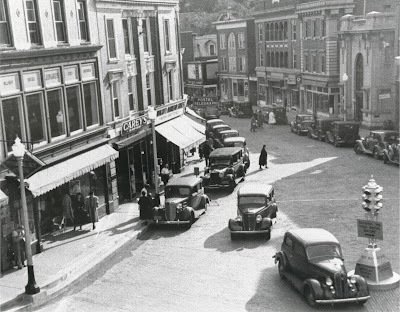 On June 22, 2011, Historic Saranac Lake will unveil a new John Black Room Exhibit, “The Little City in the Adirondacks: Historic Photographs of Saranac Lake.” Created in collaboration with the Adirondack Room of the Saranac Lake Free Library, the exhibit features almost fifty framed historic photographs of Saranac Lake residents and buildings during the early part of the twentieth century. The exhibit portrays a vibrant little city with a prospering and diverse economy. Saranac Lake grew quickly in the early 1900s to accommodate thousands of health seekers that came to the village seeking the fresh air cure for tuberculosis, made famous by Dr. Edward Livingston Trudeau. The exhibit features the unique architecture of the village as well as photos of local residents at play and at work. The photographs represent only small portion of the rich photo collection of the Adirondack Room of the Saranac Lake Free Library. Library curator, Michele Tucker graciously loaned the photos to Historic Saranac Lake, and a team of dedicated volunteers has worked to install the exhibit. Many of the photos were originally printed and framed by the late Barbara Parnass, who was one of the founding Board Members of Historic Saranac Lake in 1980. The photograph exhibit replaces an earlier exhibit on World War I in Saranac Lake. The exhibit will be on display for twelve months. 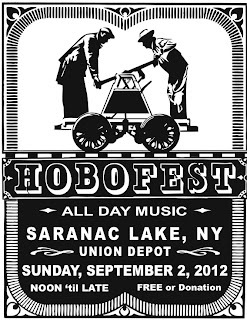 Plans are underway for a new, comprehensive exhibit on Saranac Lake history to be installed in the John Black Room in 2012. 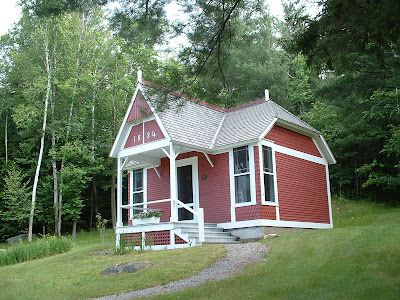 The Saranac Laboratory Museum opens June 22. 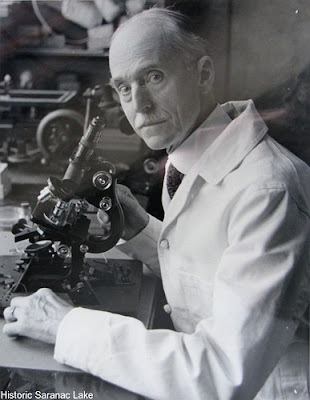 The public is invited to visit the new photo exhibit and the laboratory museum space during regular hours through October 7, Wednesday through Friday from 10:00 to 2:00, or any time by appointment. Admission is $5 per person, members and children free of charge. Photo courtesy of the Adirondack Room, Saranac Lake Free Library.